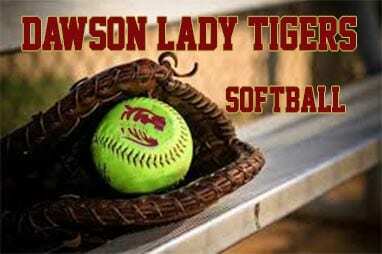 Game one of the 7-AAA tournament had the Lady Tigerd of Dawson travel to Hall County to face off against the 12-0 Vikings of East Hall. Facing a high powered team sitting atop the region is a challenging task for any team and Wednesday it was the Lady Tigers turn to hopefully put a dent in the record of their opponent. This game proved to be a Viking kinda day. Entering the circle for East Hall, Banks dominated the Lady Tiger batters over 5 innings. On 50 pitches with an average of 10 pitches per inning, Banks shut down and shut out Dawson. The Lady Tigers had one base runner in the game via a walk. Defensively the Lady Dragons sent Maggie Schandera to the circle. Schandera took the loss allowing 8 runs(7 earned) on 9 hits in 4 innings of work. East Hall scored their runs in the first, fourth and sixth innings for the 8-0 shutout victory. The Lady tigers will face the North hall Trojans in game two on the day.